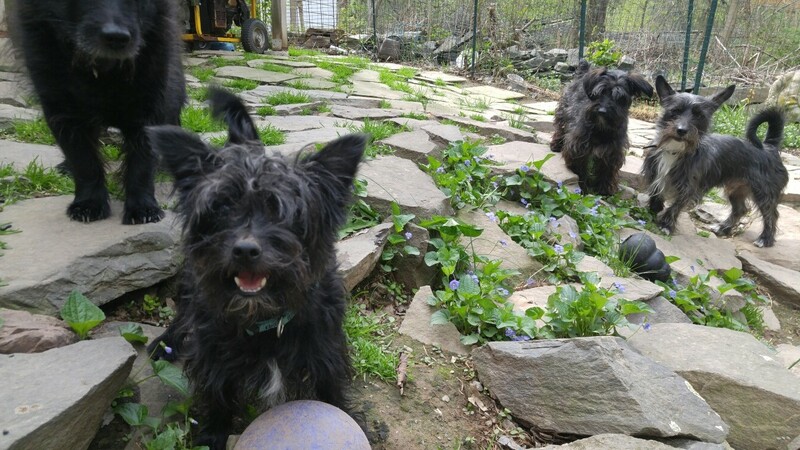 “Because he’s a Terrier mix, he’s hard for us to place and hard to find on Petfinder,” said Erica of NY/NJ Scottie Rescue, but, at only two years old and still puppy-like, The General has a lot to offer. He’s a cuddly boy who likes to be with his human, loves to give kisses and enjoys snuggling on a lap or in bed. In short, The General is not shy, is very friendly, and likes people. Because he was abandoned and found wandering the streets by a New York City shelter and has spent months in foster care, this Terrier mix needs some help with housebreaking, but he has learned to use a doggy door and walks well on a leash. The General is an active, high energy boy. 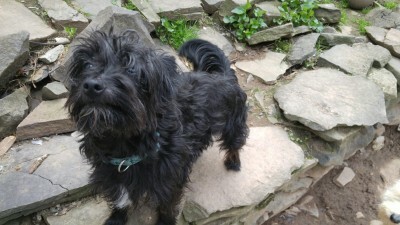 He is neutered, has been micro chipped, is up to date on his shots, and has no health issues. A good home for this happy little boy would be one with a middle-aged single, couple or young retiree where someone is home with him for much of the day. Young children may not be a good idea, but older children who can take him for walks and play with him would work well. A fenced in yard allowing him space to run and play ball would be a positive. In addition, his adopters would need patience to work with this young dog to help him with his training so that his full potential as a great companion can be realized. 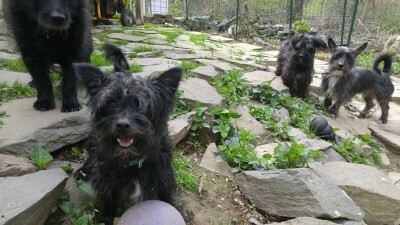 Saved from euthanasia by NY/NJ Scottie Rescue, The General is a dog full of love and fun and will bring a lot of joy to his new family. He deserves a forever home where his happy personality and loving nature will be appreciated. I hope this handsome boy finds his forever home soon. Keep up the good work, Erica. Lee , you write such touching articles. I’m sure he’ll find the forever home soon!